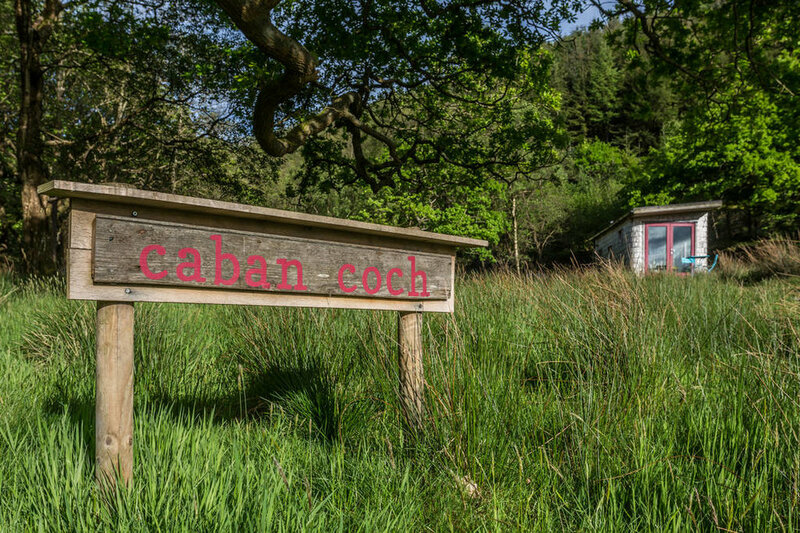 Caban Coch, crafted from an old hay trailer, is a great escape tucked away in the hills of Wales. Inside there's an eclectic mix of vintage finds punctuated with homespun soft furnishing that results in a cosy retreat full of character and light from its large windows. Outside are miles of bike trails, some of them right to your front door, and a wealth of lovely countryside to explore. 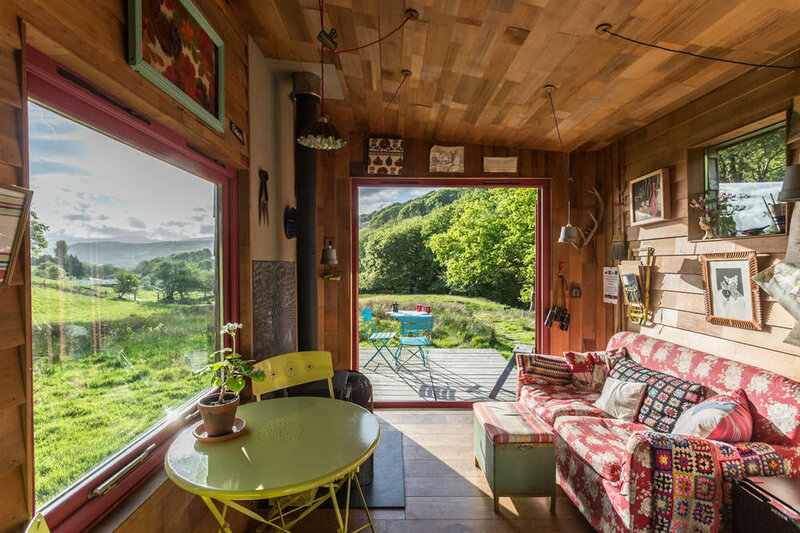 In the main living area you have a sofa which looks out onto the surrounding woodland glade and the backdrop of the Cambrian Mountain Range. 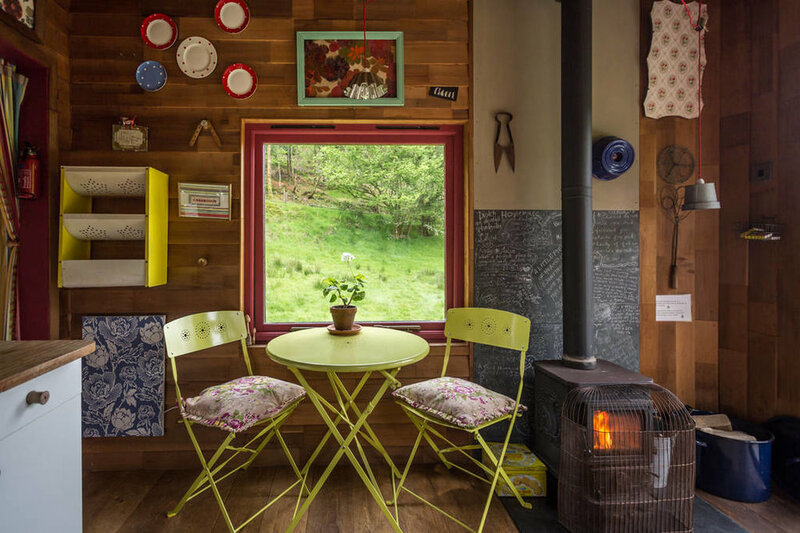 There's a wood burning stove together with a kitchen/dining area with a full-sized cooker, sink and storage. The sleeping area and the wet room with the shower are just off the main space and here you'll find the king-sized sleeping platform. 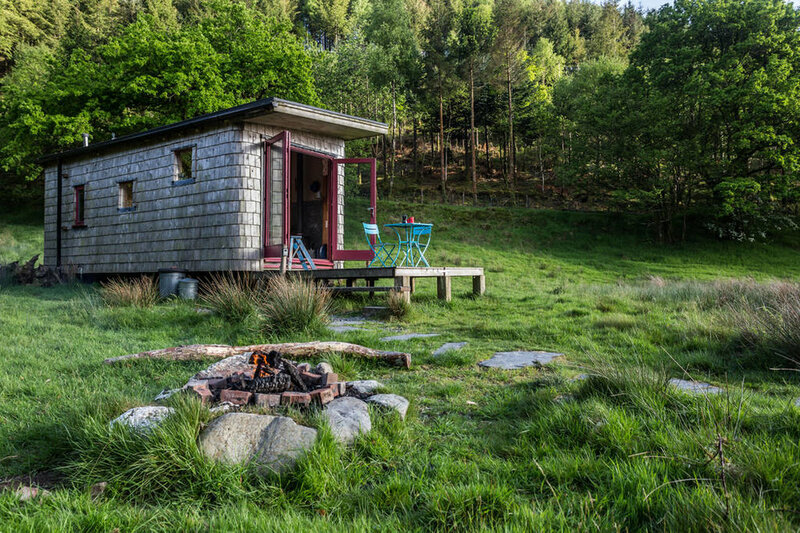 The bathroom has a shower with hot water, basin and flushing loo. Children are welcome although there is only the double bed. The basics (Tea Bags, Salt and Pepper, Olive Oil, Sugar) are provided and will be waiting for you on arrival. There's an LPG cooker and a cool box to keep a few cold drinks in for your return from the trails. Full Size LPG Cooker with fuel. For washing up there's a full size sink and drainer with hot and cold running water. The shower and the loo are in a wet room built into the cabin itself.